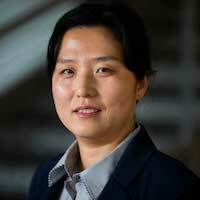 Eunshin Byon, associate professor in U-M’s Department of Industrial and Operations Engineering (IOE), has been elected 2019 Chair-Elect of the INFORMS Quality, Statistics, and Reliability section (QSR). The QSR section is an interdisciplinary section of INFORMS and is comprised of members from industrial engineering, statistics and business communities from over 50 countries. Byon joined IOE in 2011. Her research focuses on uncertainty quantification of stochastic systems using stochastic simulations, reliability analysis and improvement of large-scale, interconnected systems with applications to energy and environmental systems. “While serving QSR as Chair-elect, I’ll be working with QSR officers and members to increase the visibility of QSR in our discipline and to enhance collaborations with other clusters, journals, and researchers in national and industry laboratories,” she said.